Thrift stores are great for finding gorgeous vintage things, but you can also find some pretty sweet modern things as well. 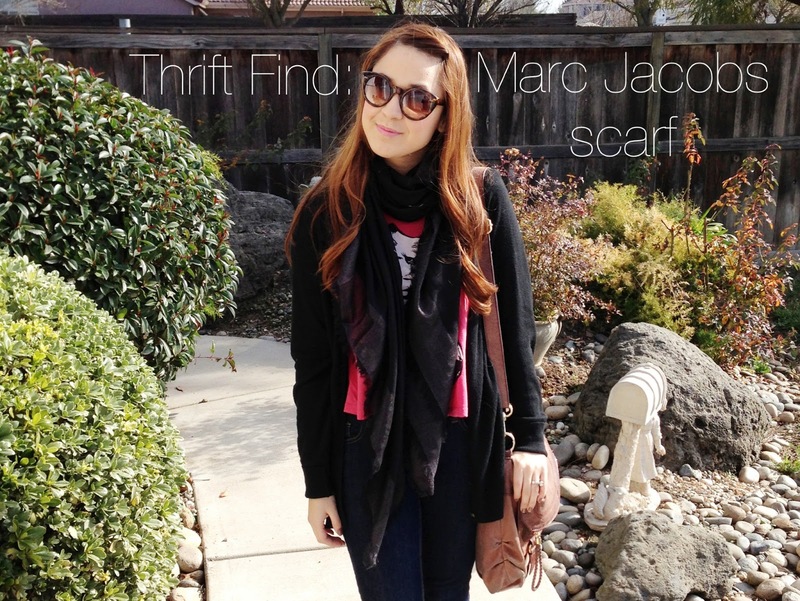 On one of my recent trips to the thrift store, I scored a Marc Jacobs NM + Target metallic border-print scarf. 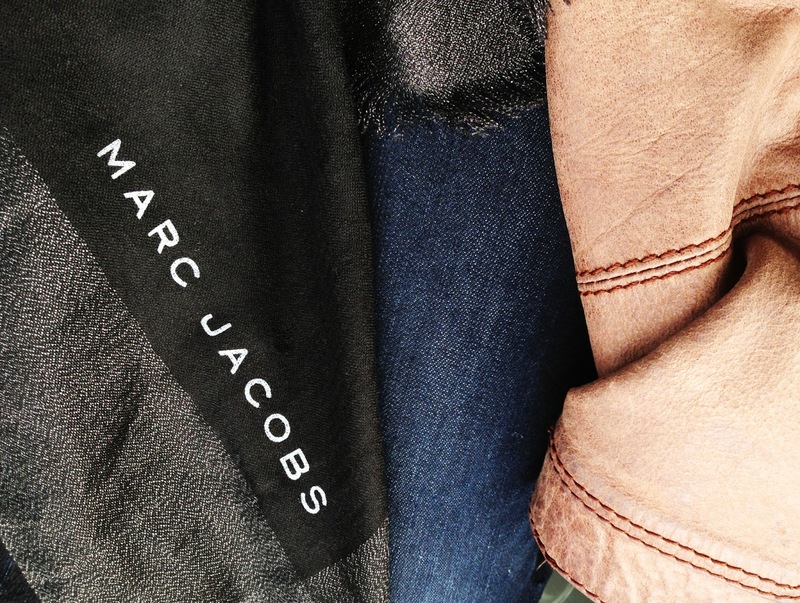 This scarf is wonderful! It’s a big scarf. Therefore, it can be worn different ways. The material is really soft, and I love the metallic detailing as well. I spotted this when it was first at Target in the beginning of December for about $69.99, and I got it for $5! As you all can see, I am quite the penny pincher. So when I find a deal like this I flip out! I absolutely love thrifting! I even consider it as one of my hobbies. Like any hobby, it relaxes me and makes me happy. It’s also such a rewarding feeling when you find something that you love. This scarf is still available >> here << as well! um GREAT scarf!! & i love your sunnies. you have such a cute blog!! As an angst-y punk rock teen I LOVED thrifting around, but haven’t gone in many, many years. Your post is inspiring! I live in Chicago and am surrounded by them – thank you, I just added this adventure to my weekend “to-do” list. So true! Thrifting is so fun! Awwww! Yay! Good luck on your adventure! I'm sure you'll find lots of treasure!